The suburb of Elwood is situated 8 kilometers from Melbourne’s CBD with a population of 14,638 as of 2011. A part of the City of Port Philip, the place boasts long stretches of beach normally used for windsurfing, cycling, cricket and walking. In its early days, Elwood was a swampy area. The construction of a canal eventually attracted people to live there. The first large group of people that settled in Elwood came from the immigrant ship Glen Huntley when it docked at Point Ormond in the year 1840. In the early part of the 20th century, Elwood was a working middle class suburb. Thanks to the development and gentrification that took place in the area, it is now considered as one of Melbourne’s most popular bayside destinations. A cafe latte lifestyle can be enjoyed in the Elwood community. Residents here can marvel at the sight of beautiful lorikeets flocking to the shady trees and they can take a leisurely stroll at the forest. Cyclists are also sure to enjoy their favorite hobby here. Parks and green open spaces are plenty in Elwood. In fact, it is known as a leafy suburb owing to its greenery. The bayside area boasts large reserves such as the Point Ormond Reserve as well as the Elwood Canal and beach. Houses in Elwood are the large period types. Many were built in the 1920s and 1930s with touches of art deco. Their close proximity to the beach have contributed to their popularity among home buyers. The architectural designs of homes in the suburb are a mix of the Victorian mansions, Edwardian cottages and apartment buildings. 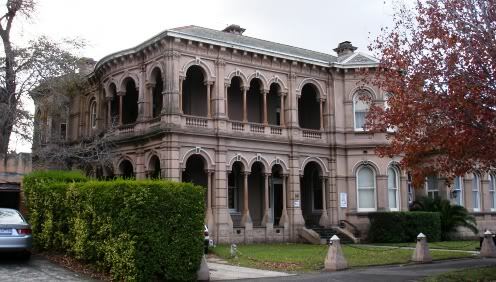 One of the most notable mansions is the Sherwood Hall located at 14 Hennessy Avenue. It was constructed between 1890 and 1891 courtesy of David C. Askew and the original owner was Joseph Cowen Syme. The Syme family lived there for 12 years until the death of Laura, the wife of Joseph, in 1920s. Eventually, the mansion was converted into flats. Another well known residential area is the La Tourelle flats. Located at 47A Brighton Road, many large blocks of interwar flats can be found here. 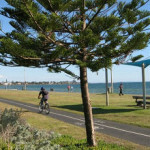 While the suburb of Elwood is no longer serviced by the rail, it has a Bayside Trail for bicycles. It is used by commuters as well as for recreational purposes accommodating cyclists and rollerbladers. Only tram route 67 services the suburb along its northern boundary (Brighton Road) or via Elsternwick to Carnegie. Buses are available particularly numbers 630, 923 and 246 while the nearest railway stations are at Ripponlea or Elsternwick or about 500 metres from the northern boundary. Previous post: Are Landlords Ready to Allow Tenants with Pets?